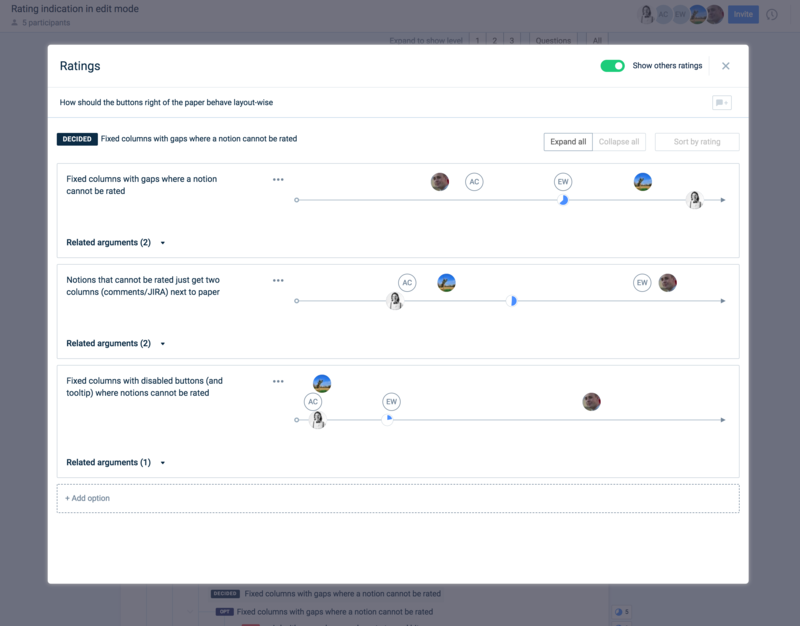 Delibr is an Agile outlining tool for product teams. Take notes, write requirements and create Jira tickets in the same tool. No more copy-paste! We encourage spec writing in the form of questions as we believe a good specification can be simplified to a list of questions and decisions. With “rich structuring” users can add headings, options and pros/cons as well as decisions on the questions. Outstanding and/or controversial questions be resolved effectively within the tool, avoiding never-ending email threads and ineffective meetings. Delibr will keep your feature specs agile during implementation while having the team involved and solve controversial questions on the go in a structured way. No more obsolete specs!